Don’t you just love enjoying a Summer Tea Party with friends! Great friends who are surrounded by pretty tablescapes, tiny sandwiches, scones, creams and of course pots and pots of delicious teas! What’s not to love about a tea party? THE WORK OF HOSTING SAID TEA PARTY! I’ve often found myself weeding in the garden and day dreaming of hosting a lovely garden tea party for friends…. in the late afternoon under the trees and filled with bold colors! But who can take the time for all the hours if not days or weeks of preparation for a tea party for 10 or more friends? From seeking out perfect tea favors, allergy-free menu options, to sending out invitations ~ we can make hosting a tea party of epic (and Pinterest) proportions a lot of work! So we save them for only special occasions and then we don’t get to enjoy them as often as we should. AND we REALLY should enjoy them every chance we get! Around our home Sunday afternoons are when we have family teas- relaxed with a dash of ‘flash’. We enjoy these little Sunday soirees because they are a chance to catch up with all the busy happenings. Also, the menu is easy, the delicate china gets used regularly, and the kids can get involved in the entire Sunday fun! It’s informal yet planned across 9 people.From the scones to the flowers everyone brings something to the table, including the kids who like to sneak in bubbles! But what happens when friends call and unexpectedly arrive at your doorstep? Can you throw a Summer Tea Party in minutes? Which one? Tea Fairy or Mad House Cleaning Dash? OR you could sprint through the house madly so everything is picture perfect before they even get out of their car (except for maybe stepping on the cat’s tail again!) You can pull out the vintage tea cups, linens, cake tiers, and plates for the ‘perfect setting’– and hope you don’t drop any in your mad dash for perfection AND pray that your child didn’t eat all the scones in your back up stash in the freezer! OR you can choose to keep it FUN, SPONTANEOUS & RELAXED! In 20 minutes or less of your friends arriving at your door, you could be enjoying a delicious yet simple tea time with your friends (or your cat- who by the way is so happy you decided the later) !! HOW IS THIS 20-minute SUMMER TEA PARTY EVEN POSSIBLE??? First we’re going to take the pressure off! No perfection allowed~ your friends and family want to spend time with YOU not your pretty dishes! And yes, you can use your favorite tea pot even the one with the chip in it. Share your joy and place ‘Old Chip’ at the center of your table~ you friends will be honored that your sharing your treasured tea pot with them. Just think of all the tea stories ‘Old Chippy’ can regal your guests with! No ironing linens. No baking. No mad dash cleaning session. Just relax. SECOND, you already have the two most important items you need: a few simple items from your pantry and your guests! And yes, ‘guests’ can include the cat or dog that you didn’t step on because you weren’t dashing about the house focused on being perfect!! So get your friends involved and have some FAST FOOD adventures in the kitchen for your Summer Tea Party! STEP ONE: USE what do you already have in your fridge and pantry! For example, finger sandwiches can be whipped up from that leftover lemon chicken! Chop and toss with a vinaigrette and serve as tea sandwiches or a salad—with fruit on the side! Explore your kitchen but just keep it simple! STEP THREE: Steep your tea and add some tea music and before you know it you are enjoying a simple tea time in the garden that you’ve created with your guest, friend, or a few family members like your grateful cat! Well friends- this actually happened at our place this past weekend which of course inspired this post! Our impromptu Summer Tea Party happened when a few lovely friends unexpectedly popped in to see the garden. WHILE I WAS WORKING IN IT ALL DAY! So covered in dirt and grass stains from fighting the weeds in my Iris beds and cutting back raspberry bushes in 90* heat is how I greeted my guests! The ‘tea hat’? My favorite old straw hat with a bandana covered in sweat and mosquito repellent. And about that ‘tea dress’— old gardening overalls. Yes. old. Gardening. OVERALLS. So awful was this presentation I forbid photos to be shared! Luckily before I could REALLY panic my friends rescued me from myself with hugs of hello. And when I mentioned the mess, (ok let’s face it I was covered in ‘garden filth’) they said “Girl, that garden didn’t magically appear out of thin air!! We came to see you and the garden not your clothes or house!” Everyone should have pals like these, and if you don’t you can borrow mine! Back to Step 1: What did I have on hand for a Summer Tea Party? In my pantry: Ricotta, watermelon, fresh local strawberries and a fresh batch of Somerset and Strawberry Delight Teas! In my garden and porch: Basil and Mint. I asked my guests to gather table service from the hutch and place them in a basket. They had lots of fun mixing up my collections of plates & cups ! While a friend rinsed and cut up some strawberries with some mint from the garden, I whipped up some ricotta with honey and a dash of cinnamon- then we tossed both into a pretty bowl. Another pal, scooped the watermelon and topped it with basil and pomegranate balsamic vinegar. Plus this dressed up the table very nicely on it’s vintage platter! We steeped the Strawberry Delight Tea in our lovely Mist Iced Tea Jug, grabbed a bunch of ice for the mason jars… and we RAN out to enjoy the garden and our Summer Tea Party! A pretty tea party in the garden made by lovely and creative friends. See the pretty gloves- those are Paula’s – mine aren’t allowed on the table LOL! And would you just look at the beautiful white peony my friend Beth and her daughter brought from their farm! A beautiful flower from our friend Gavy – selected from her rows of peonies at her farm! Freedom Rains Farm in Richland, New York! Playing together in the kitchen and discovering my hutch of pretty dishes. Laughing A LOT. Especially as they dodged Paula’s camera shots! Beautiful flowers, gardening tips, and the delicious fruits and teas. AND Leftie, my beautiful cat who decided to briefly join us for tea but then retired to nap the afternoon away! My cat Lefite after the tea party in my pretty vintage chair- she was the life of the afternoon ‘party’! And yes. They remember what I looked like when they arrived but also how their smiles and hugs helped us all focus on what really matters… the garden, the tea, and friendship. How do you host when unexpected guests arrive? Have you enjoyed Summer Tea Parties this summer? What’s your favorite recipes to use for spur of the moment tea times? Whether in a clay pot or a large garden, how’s your garden coming along this summer? 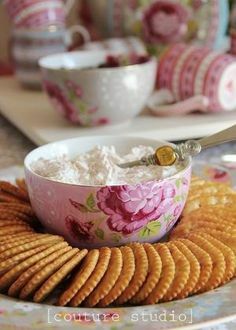 Post in the comments below- I’d love to hear your ideas & see your Pinterest links for Summer Tea Parties!